Home Unlabelled DON'T USE OUR LOGO, 2TS WARN NON-MEMBERS.. The 2TS SACCO chairman, Michael Kamande, has warned matatu owners not members of their against branding their vehicles with the Sacco's logo. This was after a matatu that had been branded with their logo was involved in an accident in Thika last weekend and killing two people. The driver and the conductor of that matatu have since gone into hiding. Speaking at the Sacco's Thika office on Tuesday, Kamande said that they had sought permission from the police to carry out an inspection on all matatus that have been associating themselves with the Sacco. 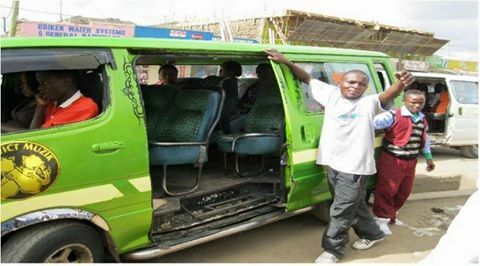 He added that some of these matatus had been expelled from the Sacco but were still associating themselves with the Sacco. He warned of taking legal action against the culprits. A manhunt has allegedly been initiated to arrest the owner of the Matatu.